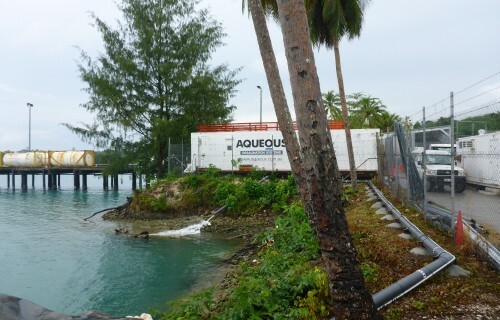 Aqueous Solutions successfully tendered for supply of treated water to this remote South Pacific island. We designed and implemented a cost effective solution, within the tight project deadline imposed, that now provides the vital infrastructure delivering ongoing potable water supply in this remote location. 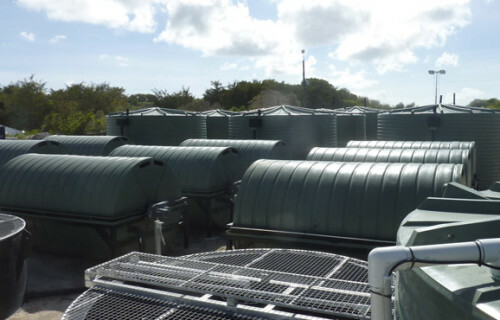 Containerised desalination unit capable of producing 500,000 litres of water a day, supplying potable water for the island. Innovative, low cost pre-treatment provides reliable feed water quality to the plant, without the use of costly chemicals or high maintenance equipment. Plant uses high quality components to mitigate the long term corrosive effects of exposure to sea water. Energy recovery provides cost effective water in an environment where power is generated from costly imported diesel.